The designer Mika Tolvanen wanted to create a low upholstered furniture that is simple, elegant and comfortable at the same time. The 3-seater plays with thick and thin elements and impresses from all sides with its elegant design, which brings back the 50s style. The frame is made of European plywood which is especially hard and durable. Some outer and inner frame sections are additionally covered with Masonite. The seat frame is made from solid pine wood containing steel springs, which ensure comfort and stability. The upholstery consists of comfortable cold foam, which ensures a high level of comfort and durability. 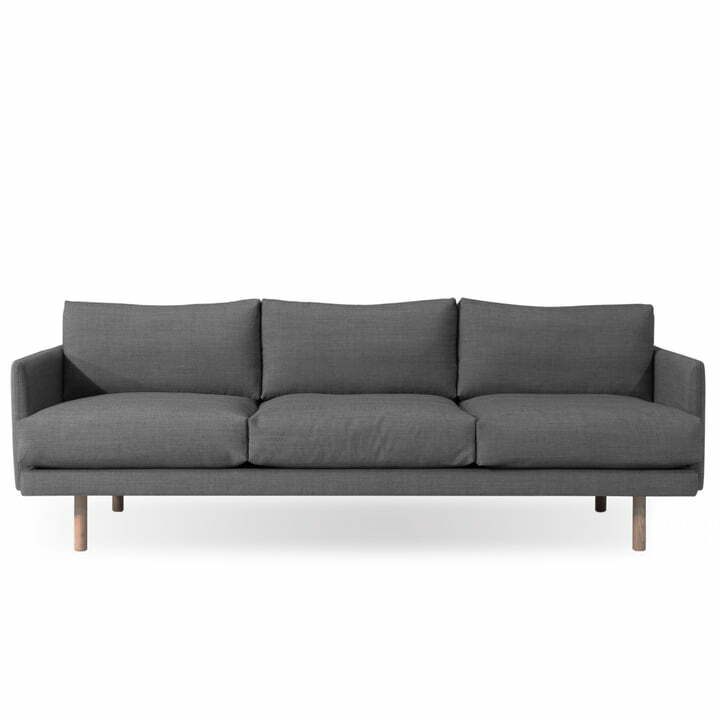 The comfortable upholstery is supported by solid oak legs that add a touch of lightness to the sofa. The bruunmunch Emo sofa is available in other sizes: as a 2-seater or armchair as well as with different fabric covers. 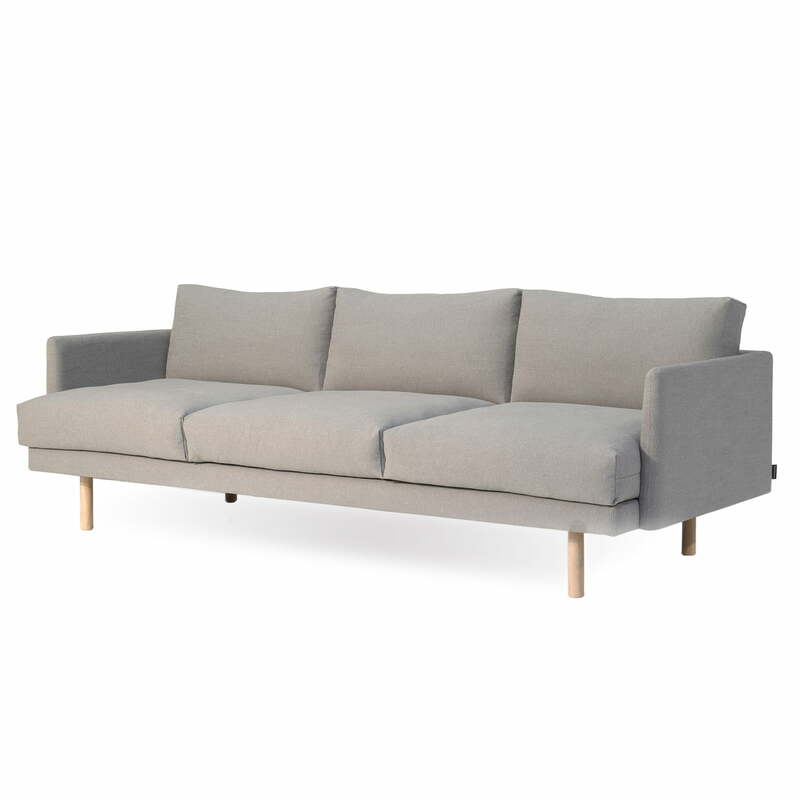 Individual image of the 3-Seater Emo by bruunmunch with Kvadrat fabric Rustic 136. Rustic 136 consists of 56% cotton, 12% linen, polyester and viscose and 8% poly-acrylic material. 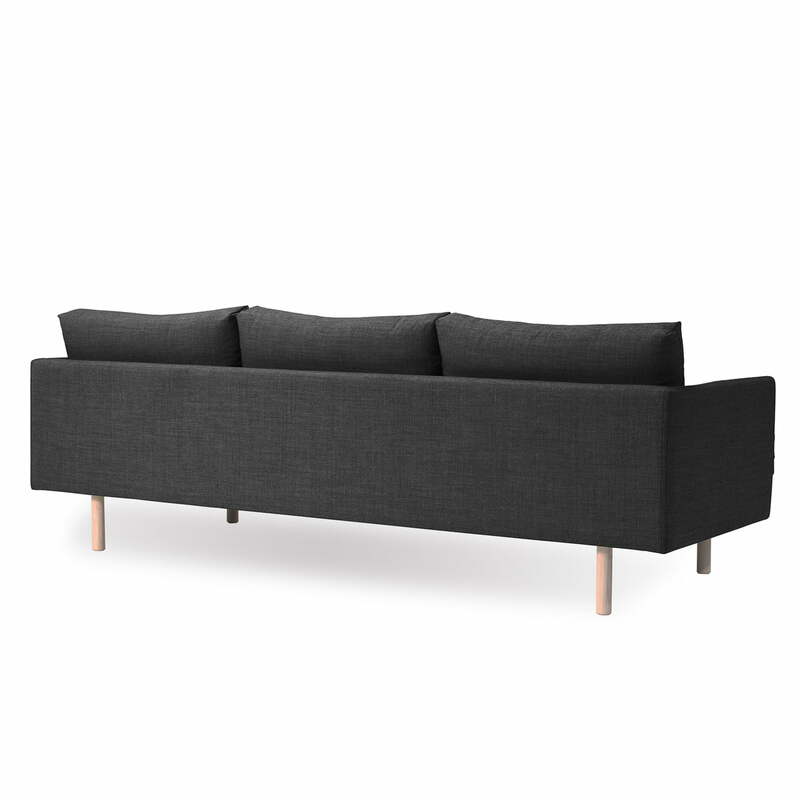 Individual image of the 3-Seater Emo by the brand bruunmunch with Kvadrat fabric Hallingdal 130. Hallingdal 65 - 130 consists of 70% new wool and 30% viscose. 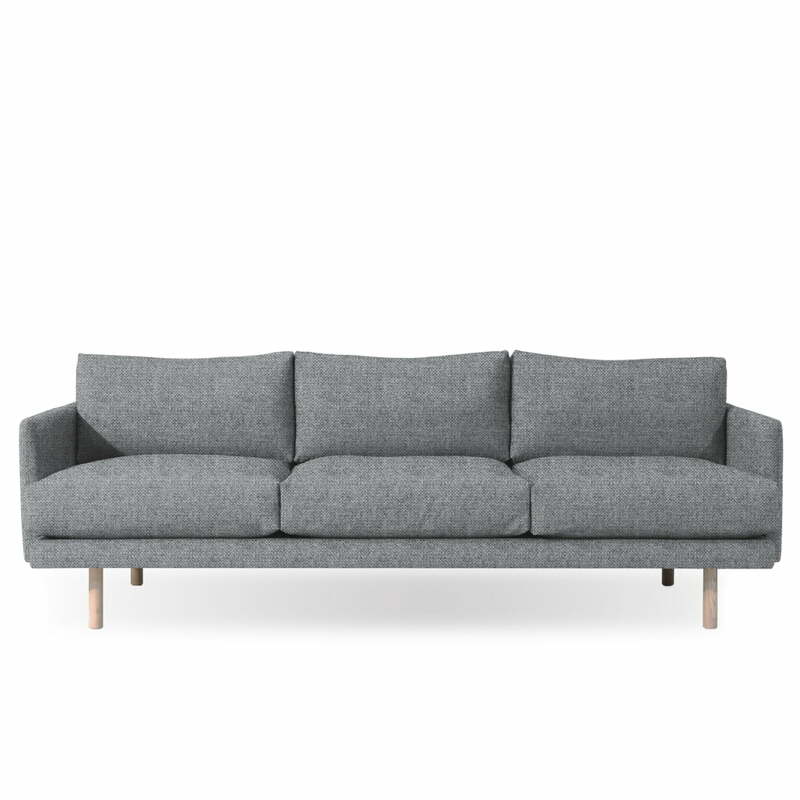 The Emo sofa by bruunmunch is a spacious sofa in the 50s style that looks inviting and less rigid. The designer Mika Tolvanen wanted to create a low upholstered furniture that is simple, elegant and comfortable at the same time. The 3-seater sofa from the designer Mika Tolvanen for bruunmunch plays with thick and thin elements and impresses from all sides with its elegant design.